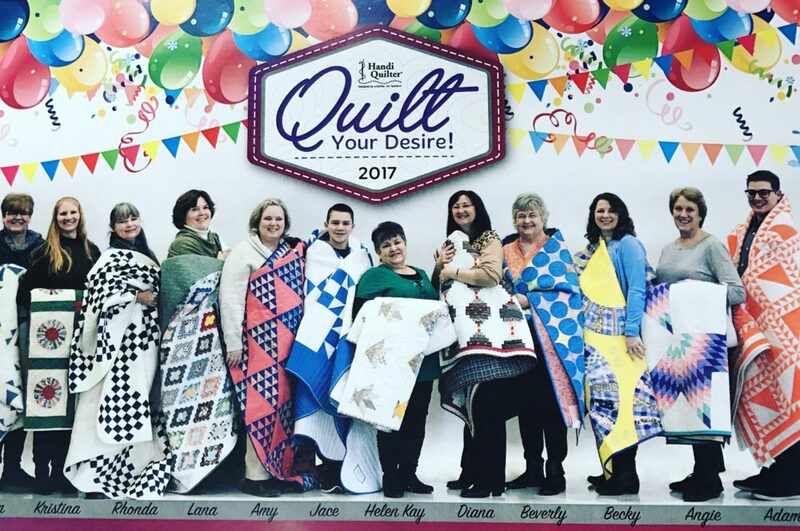 In December, Handi Quilter announced their Quilt Your Desire campaign for 2017. 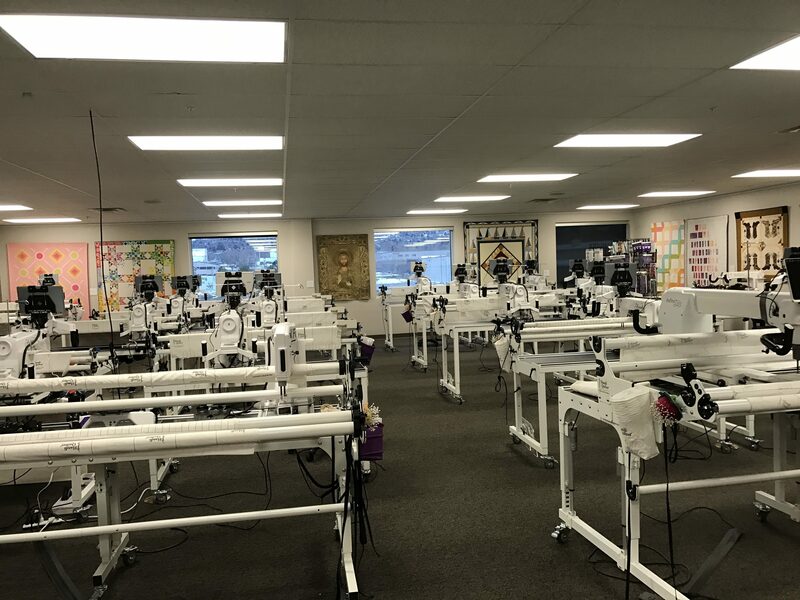 Quilters were invited to send a 1 – 3 minute video of themselves with their HQ longarm telling how they quilt their desire. From these entries, HQ would select 12 quilters to become a part of their marketing campaign for 2017. 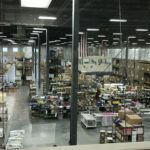 Included was an all expense paid trip to the Salt Lake City HQ headquarters in Utah for a week of training, including a photo and video shoot! 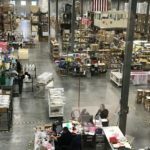 The quilters would then, in return, send in video updates regularly during 2017 showing just how they were quilting their desire. As you’ve probably surmised, I was one lucky girl!! Things happened rather quickly after being notified. I had only had my Simply for a week and I was off and running. 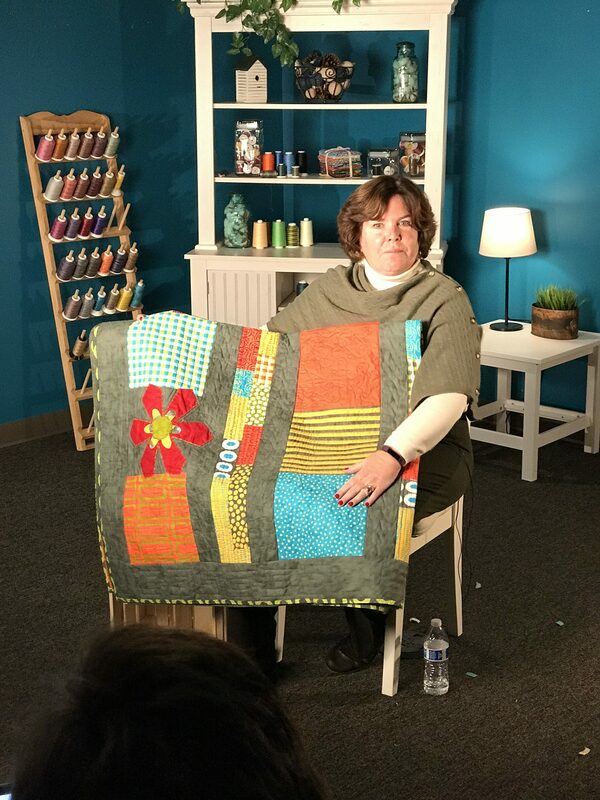 The trip to Utah was the second week of January and we were to bring a quilt we wanted to speak about in our video shoot! I had about a dozen quilt tops ready to be quilted, so that part was easy, but I had only quilted one quilt on my Simply and that was just a meandering pattern on my least favorite top, so I sure didn’t want to talk about that one in my video. I chose my favorite top which lended itself to fun, organic shapes and just had fun playing with it. I quilted a different design in each block, sometimes using the fabric design for inspiration. I quilted cursive L’s in the sashing (my maiden name initials were LL so I used to doodle those all the time in school), and a wonky Greek Key in the border. 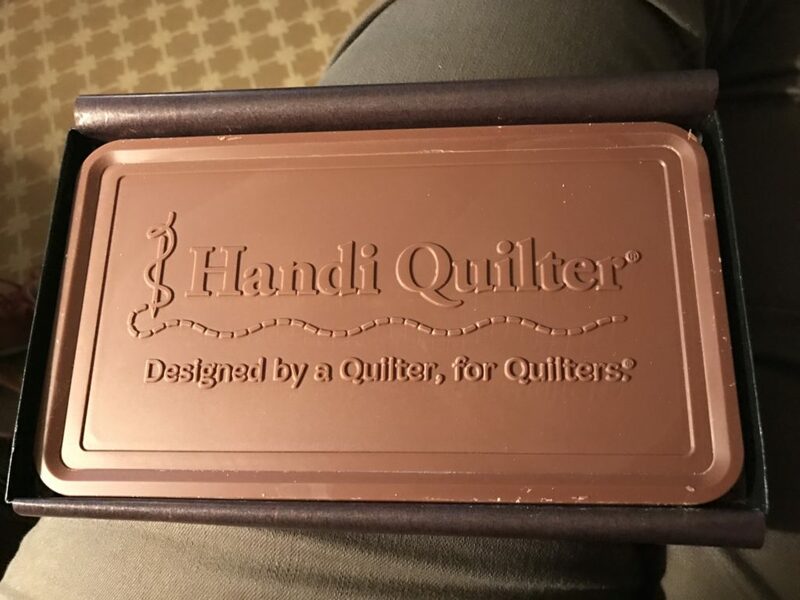 We were treated like royalty from the moment we landed in Salt Lake City and were in Handi Quilter’s care. We were adopted into the HQ family, treated to the best restaurants, and showered with swag!!! HUGE chocolate bar waiting for us in our hotel rooms! 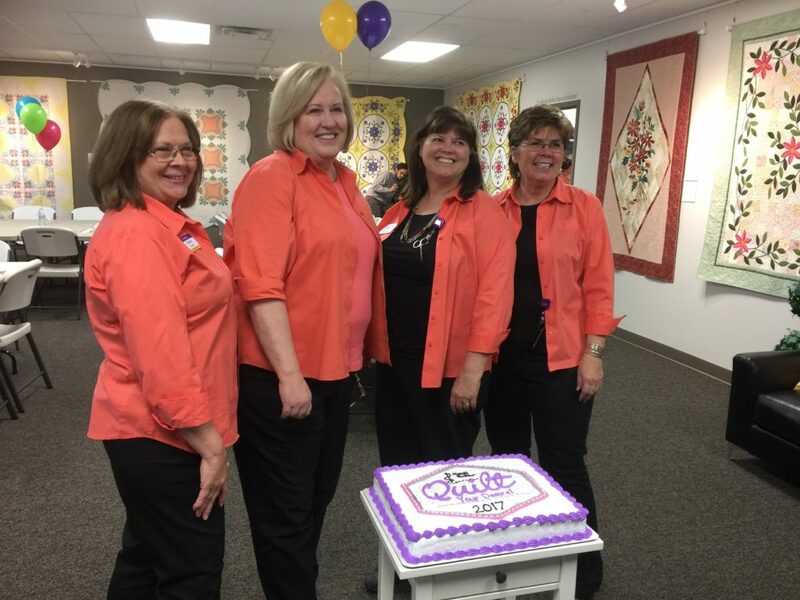 The next day when the 12 of us arrived at Handi Quilter headquarters, the four studio educators in their matching bright pink blouses greeted us outside the doors with applause. I was giddy with excitement; they were the famous educators from the HQ videos we had all watched: Vicki, Cheryl, Marie, and Kerri. Cheryl, Vick, Kerri, and Marie the following day in their matching orange shirts! Stepping through the front door, we were showered with confetti, horns, popping balloons, and cheering. It was the most amazing welcome I could ever imagine. I don’t think I’ve ever cried tears of joy before! Every employee was on hand and holding signs with our names on them. Wowsa!! After catching our breath, we were ushered upstairs to the classroom. CEO Darren spoke to us and took us on a tour of the entire building, including the manufacturing area. Next we were shuffled off to our video shoots! No wasting time here! We were all so nervous! We were each others’ audience and supported each other. Here I am with my quilt during my video shoot. Happy to have that behind us, we lunched together and then began some classroom learning about TNT – thread, needle, and tension. About 2:00, Jared, the photographer, came to get us for a photo shoot! More on that in my next post. We finished our classroom time and were whisked off to Mandarin, a most excellent Chinese restaurant. Arriving back at the hotel emotionally exhausted, it was an early bedtime for my roomie, Marilyn, and I. 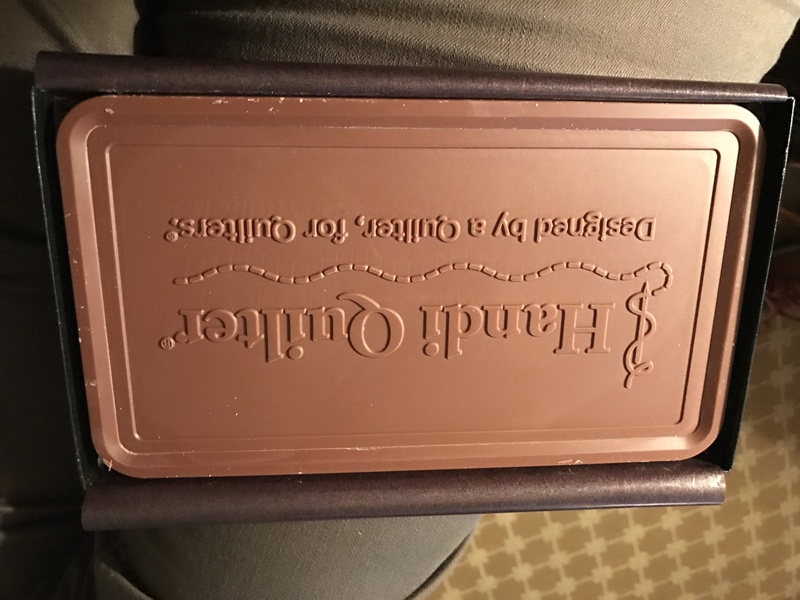 Stay tuned for my next post – Day 2 at Handi Quilter! 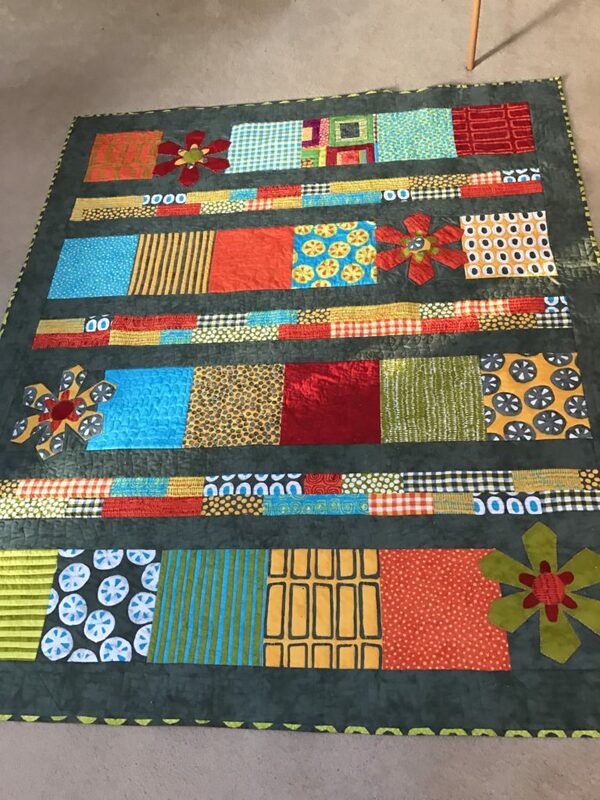 This entry was posted in Handi Quilter, longarm, Simply Sixteen by Lana. Bookmark the permalink.